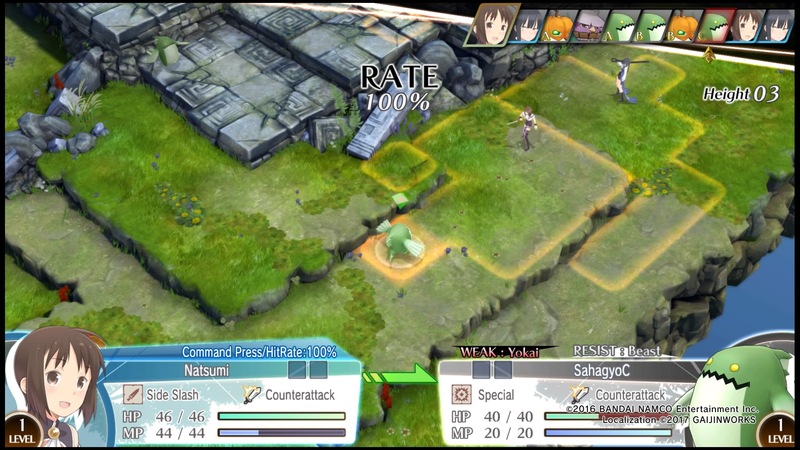 Summon Night 6: Lost Borders is such a pleasant-looking game. It has such a nice pastel palette, and it’s a refreshing break from the usual fare. There’s nothing grating or eye-straining about the aesthetics of the game, and that’s definitely worth applauding! That’s a weird thing to lead off with, we know, but frankly a scrappy, unlikely localization like Summon Night 6 deserves some optimism and praise for what it does right. And… that was what we had. The latest in, well, the Summon Night series, the game’s a celebration of its history, most of which didn’t make it to the West. We got the handheld spinoffs in the GBA/DS era, and Gaijinworks localized Summon Night 5 for PSP before diving into this PS4/Vita release. So that part will fly over most players’ heads, but it’s good to know that a lot of the interactions here are driven by a fanservice for which we have little context. 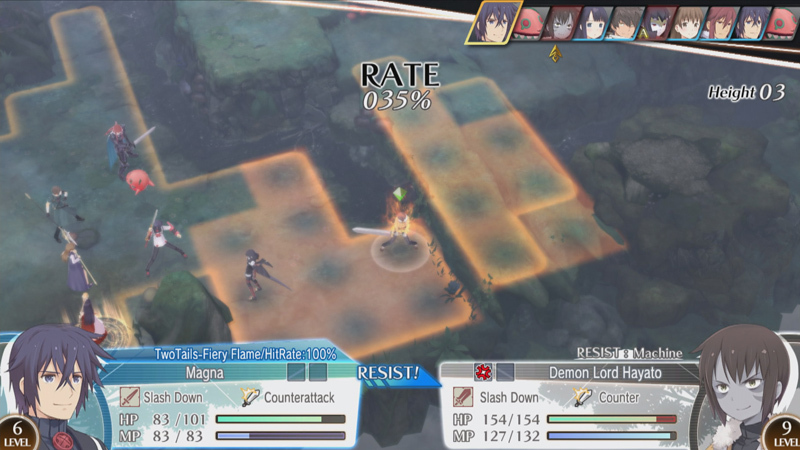 Like other main-series games and unlike the spinoffs, Summon Night 6 is a tactical RPG, with top-down controls and a standard grid system that it plays with through a series of skill trees and character specializations. 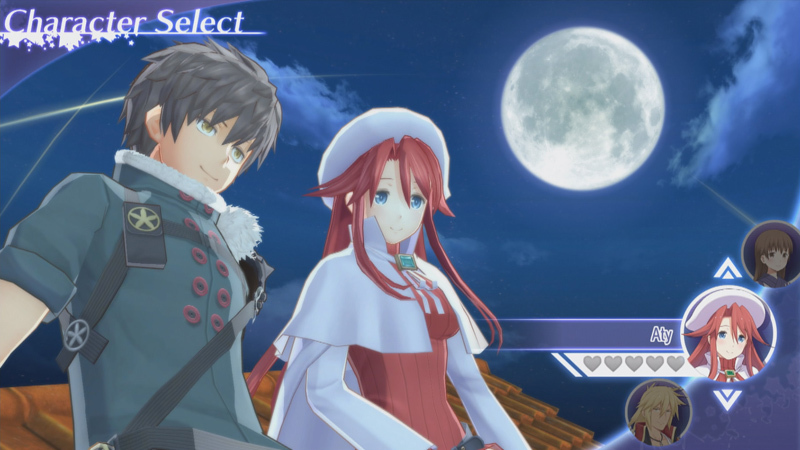 A scrappy, unlikely localization like Summon Night 6 deserves some optimism and praise for what it does right. It’s weird to call the system “generic” when ones like it have largely fallen off the face of the planet in recent years, but that’s what you have: a system very similar to ones in games like Luminous Arc and God Wars: Future Past that took the Final Fantasy Tactics model and took it in a softer, more nebulous direction. It can be done very well (like in Stella Glow), but it’s also a tried-and-true method of losing focus and delivering something that offers lots of options and no real strategy. 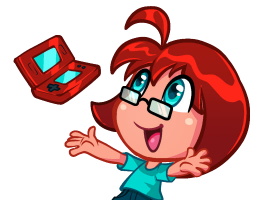 While it doesn’t totally drop the ball tactically, it throws… you know, a lot of systems and choices at you for shaping characters and doesn’t really provide the structure needed to make those choices meaningful. It would help if the game weren’t frustrating to control. “But this is a grid-based game,” you say! “How could they mess that up?” Well for starters, how about analog movement? There’s no reason not to use a D-pad to move around or at least have the stick be a cursor, but nope, characters move around freely and have to detect ledges and jump over them and such. There’s no function related to this? It was just a choice. A perplexing choice. There’s also a wheel menu for skills and attacks, which really could have been faster to use. Generally, you’ll have to press buttons one or two more times than necessary for an attack or special move, which may not sound like much but is multiplied by… the entirety of the game. That part’s unfortunate, since there could have been some value here with manipulating the battle system for pure amusement. This would be a really great point in this piece to include some nice things about the localization. We’d really like to do that. 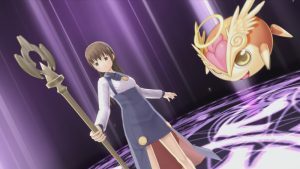 Summon Night was never going to make it to the West without the efforts of the former Working Designs lineage, so having it here is something we welcome wholeheartedly. Here’s the thing, though. The writing? The voice acting? It’s what we’d classify as “kind of bad by mid-’90s standards,” which was totally acceptable in the mid-’90s and early ’00s as the West saw myriad projects (like Arc the Lad) that it wouldn’t otherwise get. It’s not justifiable in 2017, and it’s made worse by how totally unaware it is of its lack of quality. It tries to be cute! It in no way earns the ability to be cute. 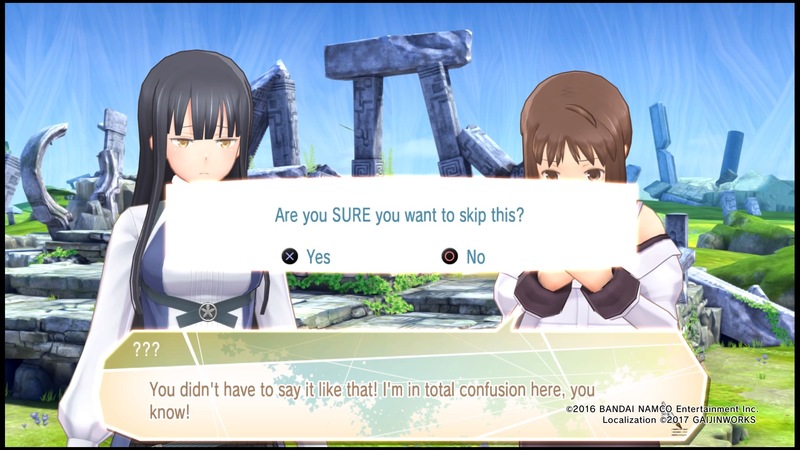 “Are you SURE you want to skip this,” the game asks? Yes, we’re quite sure, because it’s walls of text about back story we don’t need to know or inane conversations about nothing important and also it’s not good writing. 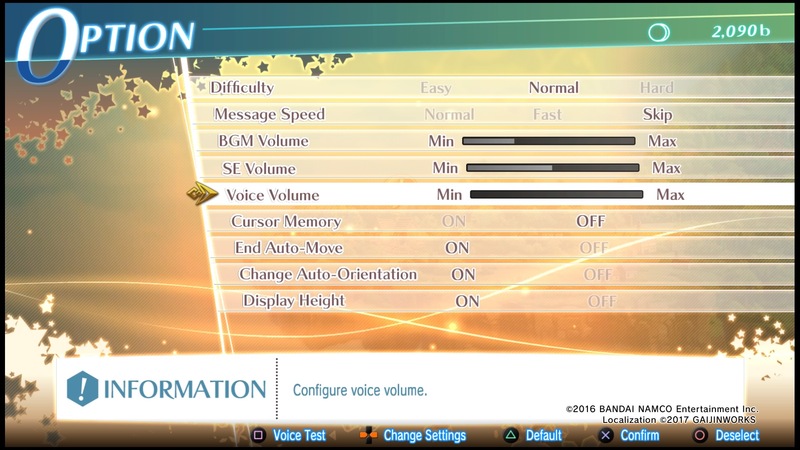 And let’s talk about the voice acting! For a tiny project like this, even the most shoestring of dubs would comprise a lot of the budget. This is the most shoestring of dubs, too, and yikes, is it amateur hour. There’s a term we have here at Michibiku: the “Arc Protocol.” Named for its patron saint, the Wii’s Arc Rise Fantasia, the Arc Protocol is engaged when a game’s voice acting is so bad that turning it off entirely and waiting through awkward in-game silences is preferable to hearing any more of it. Most people just stop playing a game if it annoys them, but… well, our work requires a bit more persistence, and this protocol is in place so we can keep evaluating a game as best as we can. We might need to rename it after this game? This game is worse. It sports flat delivery that doesn’t seem to fit the characters and the context, poorly mixed and implemented with awkward timing. 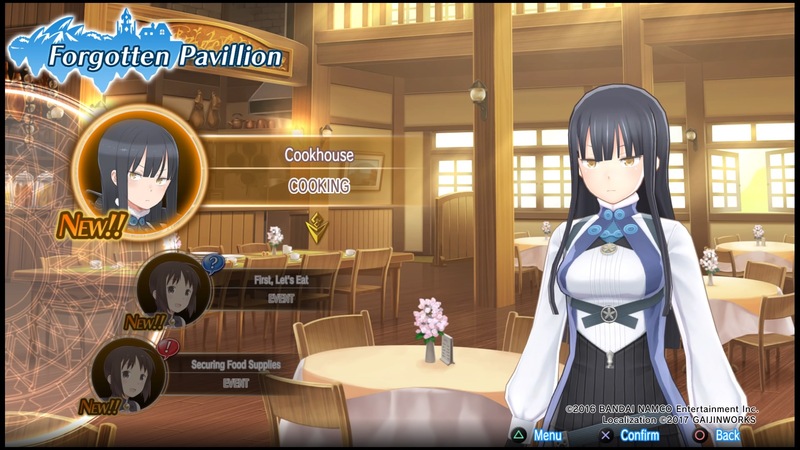 We don’t mean this as a takedown piece of a localization house that clearly has its heart in the right place. It’s just been decades since the early Working Designs days, and we wish Gaijinworks would moderate its aims and take on projects with a more restrained scope and a better understanding of its capabilities. The visuals are nice, though! We didn’t make that up. There are some animated scenes that are actually high-quality for game anime, and the characters look natural as both 2D art and polygonal models. (That gets messed up all the time, too, so getting it right is no small accomplishment.) There are nice, bright areas to inhabit and totally legible typefaces to read, neither of which are a given. We don’t mean this as a takedown piece of a localization house that clearly has its heart in the right place. Also a real asset to the game is its wealth of content. For issues we’ve already articulated, you may not want to dig into it, but those who persist will find a lot of story and a lot of battles, and that’s not nothing. It has so much text that it’s almost a visual novel at times, which has been a trend as of late. And, well, when you put solid writing together with solid combat (hi there, Sakura Wars: So Long, My Love), that can be a lot of fun. This also attempted to do that! 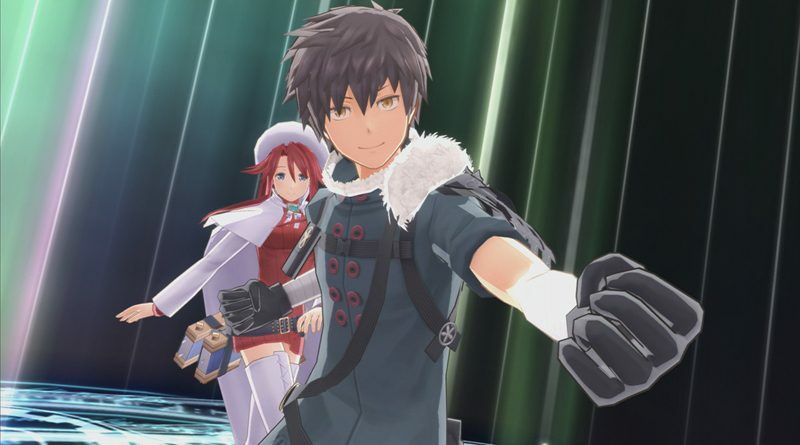 Summon Night 6: Lost Borders is unlikely and welcome. It’s a Vita release for an audience clinging onto the last gasps of its platform. It’s a PS4 game that runs really, really well with very few technical issues. And again, it does look very nice! There are aspects here that are worth applauding. You just won’t want to spend much time actually playing it.